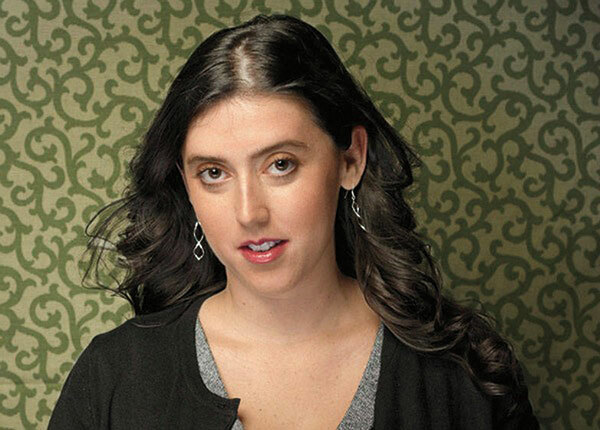 Director Alison Klayman—whose work spans lauded documentaries, shorts, commercials and branded content—is no stranger to the festival circuit, initially scoring with her feature documentary debut, Ai Weiwei: Never Sorry, which won a Special Jury Prize at the 2012 Sundance Film Fest, and was then shortlisted for an Academy Award, and nominated for two News & Documentary Emmys as well as a DGA Award. This month, Klayman forged some new festival ground, bringing a film—Take Your Pills—to SXSW for the first time. She also experienced another first in her festival travels, coming to SXSW with a distribution deal already in place. In fact, one week after its debut screening on day one of SXSW, Take Your Pills premiered on Netflix (3/16). Klayman—who is handled for commercials and branded entertainment by Washington Square Films—explores in Take Your Pills how today’s do-more-better-faster society has spurred on the popularity of prescription stimulants such as Adderall and Ritalin, which are no longer just a treatment for kids with ADHD. These stimulants have made their way into college classrooms, Wall Street and Silicon Valley, virtually any place fueled by the need to succeed—and where there seemingly aren’t enough hours in the day to accomplish what we set out to do. Cognitive-enhancing drugs go hand in hand with the drive for productivity at all costs. Sadly, these pills have become the defining drugs of a generation. SXSW, assessed Klayman, is “a dream fit” for Take Your Pills. She cited the festival’s appeal to Millennials, its focus on tech and the social conscience reflected in the different art forms showcased. Klayman was sought out for her documentary and storytelling acumen as reflected in not only Ai Weiwei: Never Sorry—which chronicles artist and activist Weiwei as he prepares for a series of exhibitions while increasingly clashing with the Chinese Government—but also varied other projects, including films she’s directed for the PBS series Frontline as well as the doc short The 100 Years Show. The latter introduces us to Carmen Herrera, a pioneering abstract painter who gained long overdue recognition as she approaches her 100th birthday. From her feature and short documentary fare, Klayman has diversified via Washington Square Films into spots and branded work for the likes of lululemon and Hewlett Packard, among others. Klayman’s penchant for authentic storytelling is fostered by her background as an accredited journalist in China who produced radio and TV feature stories for such programs as NPR’s All Things Considered. Additionally, the appearance of 3D people in environs was deployed to, for example, tell the story of a Goldman Sachs analyst suffering from addiction but who wanted to remain anonymous. Klayman has demonstrated an affinity for incorporating animation and design into her documentary endeavors. For example, she turned out a New York Times Magazine animated Op-Doc, The Night Witch, which shed light on the life of Nadezhda Popova, a.k.a. Nadia, who became a World War II hero as a member of a Soviet all-female bombing regiment. Klayman teamed with animator Dustin Grella to tell the story of the Night Witches.